Celeno’s Elastic MIMO is a disruptive technology that allows users and applications to utilize the full capacity of their Wi-Fi network. One MIMO Configuration does not fit all! Elastic MIMO dynamically allocates 8 MIMO streams between 2.4GHz and 5GHz bands. It optimizes Wi-Fi performance at the complete network levels and not on a per-band basis, by automatically adapting the Wi-Fi hardware. It literally redefines the Wi-Fi configuration in real-time to maximize network capacity and coverage based on an 8-channels MIMO. It self-adapts the MIMO configuration based on real-time traffic and device conditions. The only other way to do it is by changing the Wi-Fi AP on the fly. 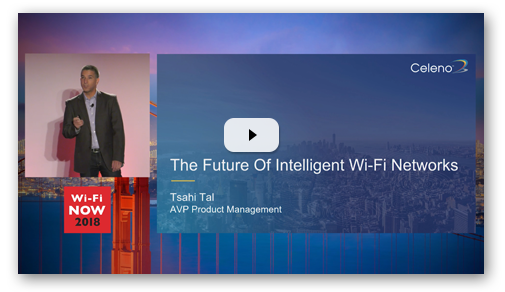 Watch the video and discover how Elastic MIMO is changing the face of Wi-Fi.